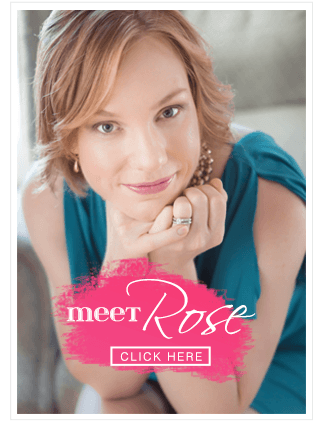 I love sharing products that fit into my family’s healthy life. This post is sponsored by Side Delights The ideas and opinions presented are my own. Thank you for supporting brands that make it possible to keep Half Her Size running. Potato lovers rejoice! 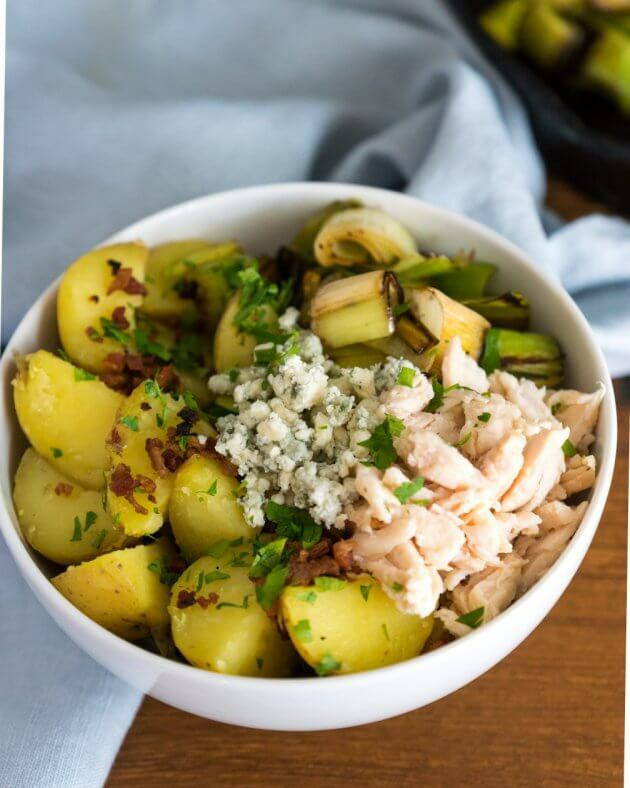 Quick chicken bacon potato bowl with buttery leeks is healthy comfort food you can make in minutes. Not long ago I ran an informal survey on the Half Her Size Facebook page (I posted a meme) asking what 1 food you would make zero calories. Aside from the more obvious responses, wine, chocolate, beer, etc. the number of votes for potatoes really surprised me. I love potatoes. They are one of my go-to comfort foods. I love how easy they are to prepare and they make a great foundation for other flavors. So, what is keeping my smart readers from enjoying potatoes more often? My best guess is the things we like to eat with potatoes keeps them off the menu. Good news! This easy recipe is proof you can have your fluffy, buttery, comforting potatoes and the toppings! My chicken bacon potato bowl takes its inspiration from a smile-inducing chicken pie I devoured on our recent trip to Ireland. After a very chilly evening stroll in Belfast, Mike and I ducked into a cozy restaurant for a hot dinner where I ordered a craft gin cocktail and the special of the night chicken, bacon, and leek pie. The pie was such a treat! Melt in your mouth potatoes, chunks of tender chicken, buttery leeks, and salty bacon all topped with a circle of flaky golden pastry. Back home, these were the first flavors I wanted to revisit when the jet lag wore off. After a bit of brainstorming, I came up with a way to savor the flavors I loved in a fresh healthy way. Even better, Side Delights Steamables potatoes made the cooking quick and easy – they do the hard part in the microwave in about 8 minutes. If you have been avoiding potatoes because you thought they didn’t fit into your healthy eating plan it’s time to give them another try. Check out my new favorite way to make cooking potatoes quick and easy. 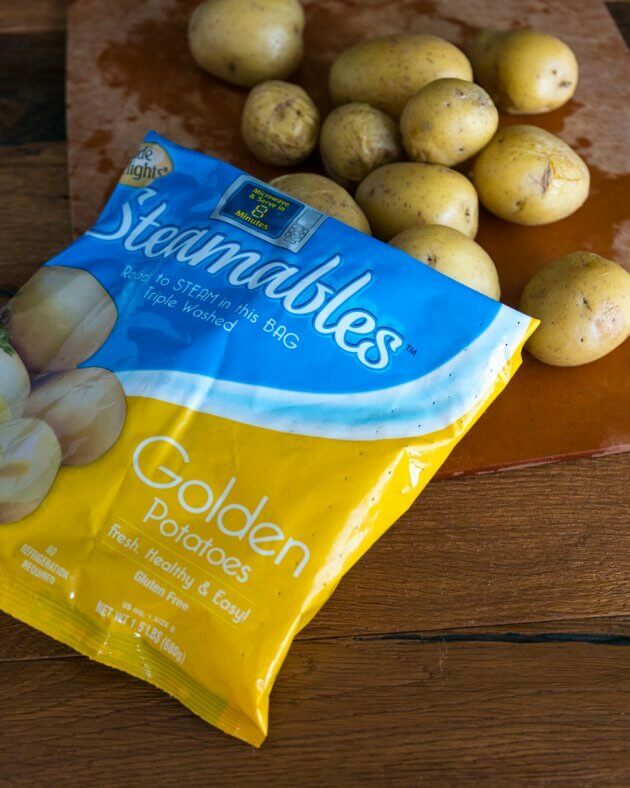 Side Delights Steamables, are fresh potatoes (no additional ingredients) washed and ready to steam in the microwave. 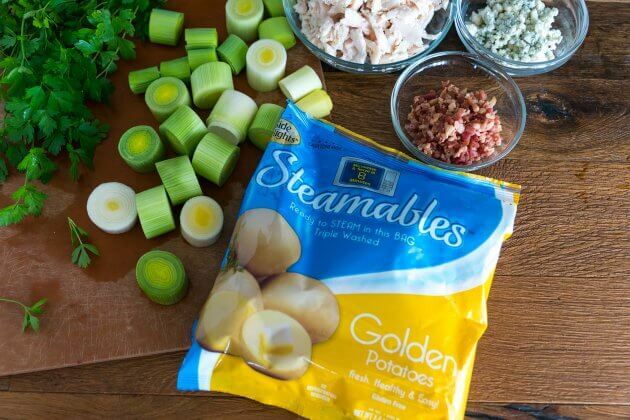 Steamables come conveniently packaged 4 servings at a time in 8 different varieties. In addition to the buttery golden potatoes I used for this recipe there are red, russet, sweet, fingerling, and purple potatoes! Check out these other #PotatoPowerBowl ideas! One more tip! 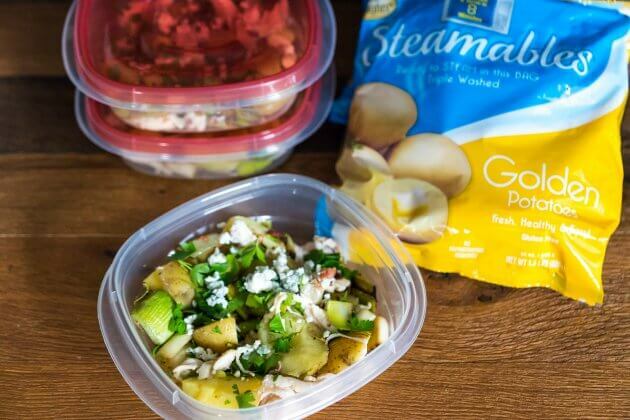 Pack your healthy chicken bacon potato bowls to eat hot or cold on the go, you’ll be minutes away from easy healthy comfort food. Steam the potatoes in the microwave according to the package directions and allow to cool slightly before chopping into bite-size pieces. While the potatoes are cooking, warm a medium skillet over medium-high heat and add the bacon crumbles. Toast the bacon until it crisps and the fat coats the bottom of the pan, about 1-3 minutes. Remove the bacon crumbles and set aside then reduce the heat to medium. Add the leeks to the bacon pan and cook until they soften about 8-10 minutes, stir occasionally. When the leeks have softened sprinkle with salt and pepper, stir in the butter and remove from the heat. 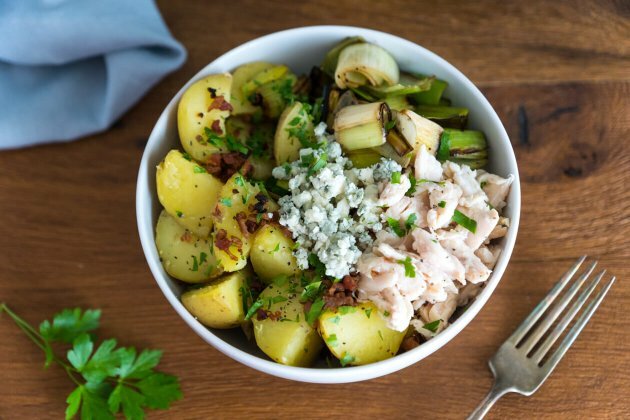 Assemble the bowls by layering ¼ of the ingredients into bowl starting with the potatoes, chicken, leeks, blue cheese, bacon, and a generous sprinkling of parsley. Serve warm or cold. Healthy comfort food is why I love this time of year. This looks absolutely awesome! Me too Matt, bring on the comfort food! I’m always skeptical of those eating plans that do not allow potatoes. What!?!? This meal looks delicious and satisfying. 15 min to prepare is always a dream come true! This looks so yummy! Katie, I agree! These quick meals are lifesavers. I’m glad you like it. Such a smart and versatile idea!! Looks great for meal prepping too! Thanks Liz, yes, this is so great for meal prep. It keeps well in the fridge and can be eaten hot or cold.